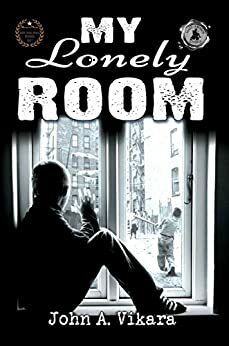 My Lonely Room is an outstanding contribution to the world of literary world, tacking themes of belonging and loneliness. 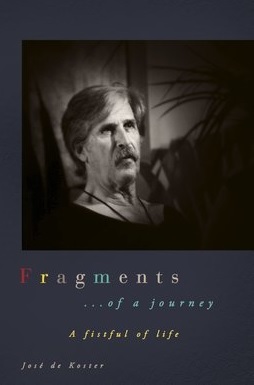 The author, John Vikara, provides a novel which opens up a whole range of emotions. From feelings of isolation to intense moments of journeying-through, Vikara’s emotional rollercoaster of a story provides nothing more than a personal and intimate style of writing that gets the book off to an excellent start. Set in the fifties, the reader is able to envision what life was like back then (for all those lucky younger readers), or recap on childhood memories (for our more mature readers). Vikara tries to write stories that appear to be realistic, creating a sense of nostalgia. Jimmy’s journey for companionship and experience allow the story to move at a steady pace, whilst constantly maintain the attention of its readers. What struck me the most whilst reading My Lonely Room is how the writing left me feeling slightly pessimistic. The protagonist, Jimmy, grows up in a world where he feels like he never belongs. Everyone finds comfort in one place or another. Whether that comfort is in a person, a particular place, or a particular thought, everyone is able to ‘zone out’ and enter that place of pure comfort and safety. For Jimmy, his bedroom is the only comfort that he can find. One of the great things that Vikara articulates in his writing is the importance of real-life issues. The author of My Lonely Room reinforces key issues which are undoubtedly present in our everyday lives – we’re simply oblivious to it! Issues of isolation, relationships, fears, friendships and journeying on are all real life ideas that the majority of readers can relate to. As a reader of this personal journey into a world that is quite off-putting to some, I found it a truly remarkable account of events, which left me feeling slightly overwhelmed, pessimistic and a sense of sadness. This book really opened my eyes to a new genre of books. A book that was easy to follow, written with flair and creative thought, and the author’s skill of plotting and maintain the story are some of the reasons as to why I have rated this book a solid 5 out of 5 stars. I can honestly say that I have not read and enjoyed a book as much as this book. Whilst I think that the ending of the novel was not as strong as it could have been, I think that John Vikara is an inspirational writer whose ideas and thoughts are put across in an interesting, intense, and captivating way. An articulate, creative and highly imaginative novel blending an array of themes and emotions with real life experiences. Hats off to the author of this guide. An enjoyable read for the right reader who shows a similar interest to that of the authors. Posted on June 29, 2018, in Book Reviews, Five Stars and tagged alibris, author, author life, authors, barnes and noble, belonging, book, book club, book geek, book lover, bookaholic, bookbaby, bookblogger, bookbub, bookhaul, bookhub, bookish, bookreads, books of instagram, booksbooksbooks, bookshelf, bookstagram, bookstagramer, bookwitty, bookworks, bookworm, ebook, emotion, family, fantasy, fear, fiction, goodreads, historical, history, ilovebooks, imaginative, indiebooks, john a vikara, kindle, kobo, literature, lonliness, my lonely room, nook, novel, publishing, read, reader, reading, relationship, shelfari, smashwords, story, urban fantasy, writer, writer community, writing. Bookmark the permalink. Leave a comment.